This is a point-by-point response to a David Evans op-ed that I wrote a couple years ago. It addresses some common misconceptions held by the public regarding climate science. The debate about global warming has reached ridiculous proportions and is full of micro-thin half-truths and misunderstandings. Dr. Evans is an engineer, not a climate scientist. This is not to say that his opinion should be automatically disqualified, but based on this article it is clear that he does NOT understand the evidence. Also, it is rather ironic that Dr. Evans is implying that it is more beneficial for a scientist to be an “alarmists” rather than a “skeptic”. I wonder which has worked out better for Dr. Evans? When he was an “alarmist” nobody had ever heard of him. Now that he is a “skeptic” he is a mini-celebrity who’s opinion is being championed by opportunistic politicians. I would love for Dr. Evans to go to an American Geophysical Union meeting and see how climate science really works. The whole scientific process is inherently adversarial. Scientists have large egos and it is obvious that many of them take great pleasure in debating even the most insignificant claims. Not only that, but proving other people wrong is exactly how you make a name for yourself in science. The idea that scientists all over the world at thousands of different institutions are all colluding about global warming is ridiculous. There is simply way too much to be gained by being the person who could prove the consensus wrong. Climate models are built with a bottom up approach, element by element. This is what makes them useful for studying the climate system. It is true that climate models all enhance any initial warming from CO2 (i.e. they have positive feedbacks). It is very important to understand, however, that climate models are not specifically programmed to do this. Instead, the positive feedback is PREDICTED from all of the smaller scale parameterizations. The implication the models are simply assuming positive feedbacks is very misleading. The alarmist case is based on this guess about moisture in the atmosphere, and there is simply no evidence for the amplification that is at the core of their alarmism. This is a good overview and also points to some important references (particularly references 9, 10, 11, 12, and 14). Minschwaner, K., and Dessler, A.E. Water vapor feedback in the tropical upper troposphere: Model results and observations. J. Climate 17, 1272-1282, 2004. Chung, E-S., D. Yeomans and B.J. Soden, 2010: An assessment of climate feedback processes using satellite observations of clear-sky OLR, Geophys. Res. Lett., 37, L02702, doi:10.1029/2009GL041889. Chung, E-S. and B.J. Soden, 2009: A satellite-based assessment of upper tropospheric water vapor measurements during AFWEX, J. Appl. Meteor. Clim., 11, 2284-2294. Buehler, S.A., M. Kuvatov, V.O. John, M. Milz, B.J. Soden, and D.L. Jackson, 2008: An upper tropospheric humidity data set from operational satellite microwave data. Journal of Geophysical Research , 113, D14110, doi:10.1029/2007JD009314. John, V.O. and B.J. Soden, 2007: Temperature and humidity biases in global climate models and their impacts on climate feedbacks. Geophysical Research Letters, 34, L18605, doi:10.1029/2007GL030736. Soden, B.J., 2007: Water Vapor. 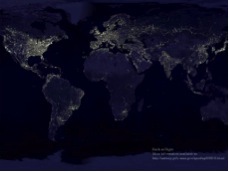 Our Changing Planet: The View from Space, Cambridge, UK: Cambridge University Press, 26-29. Soden, B. J., D. D. Turner, B. M. Lesht, and L. M. Miloshevich, 2004: An analysis of satellite, radiosonde, and lidar observations of upper tropospheric water vapor from the Atmospheric Radiation Measurement Program. Journal of Geophysical Research, 109, D04105, doi:10.1029/2003JD003828. The point is that the water vapor feedback has been studied extensively, from many different angles and it is not based on a “guess”. Furthermore, this literature gives very strong evidence that the water vapor feedback is both positive and strong. First of all, the upper tropospheric hot spot has nothing to do with warming specifically related to CO2. Instead, it is a fundamental prediction for any surface warming (due to the moist adiabatic lapse rate). There are now several independent pieces of evidence showing that the earth responds to the warming due to extra carbon dioxide by dampening the warming. 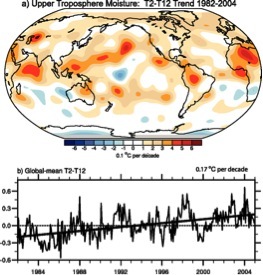 Knutti, Gabriele, 2008, The equilibrium sensitivity of the Earth’s temperature to radiation changes. Every long-lived natural system behaves this way, counteracting any disturbance. Otherwise the system would be unstable. The climate system is no exception. A positive feedback does not automatically imply a runaway feedback. Even with positive feedbacks, the system will reach a new equilibrium. This claim shows that Dr. Evans lacks a fundamental understanding of how feedbacks work in the climate system. 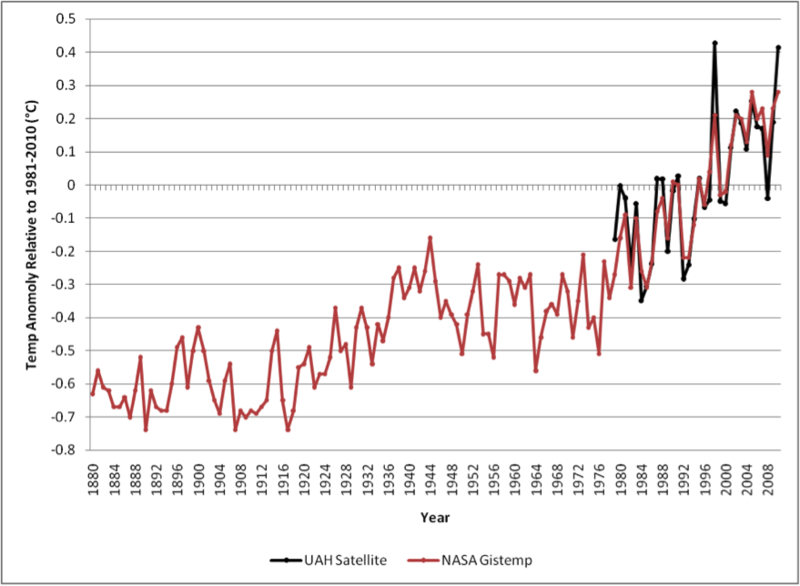 It is no surprise that their predictions of planetary temperature made in 1988 to the U.S. Congress, and again in 1990, 1995, and 2001, have all proved much higher than reality. The long-term trends of urban stations are then adjusted to agree with long-term trends of nearby rural stations. (http://pubs.giss.nasa.gov/cgi-bin/abstract.cgi?id=ha02300a). Furthermore, satellite data, which is not subject to these potential biases, confirms the warming trend seen in other reconstructions (see below). Notice how misleading the claim is that temperatures have leveled off since 2001. Has Evans responded to any of this? He doesn’t seem like the type to. I’ve responded to his points on the hot spot and water vapor feedback as well. His single most valuable argument is about solar radiation to the cosmos which the ERBE satellite have shown all computer models to be not only wrong but opposite to the facts.